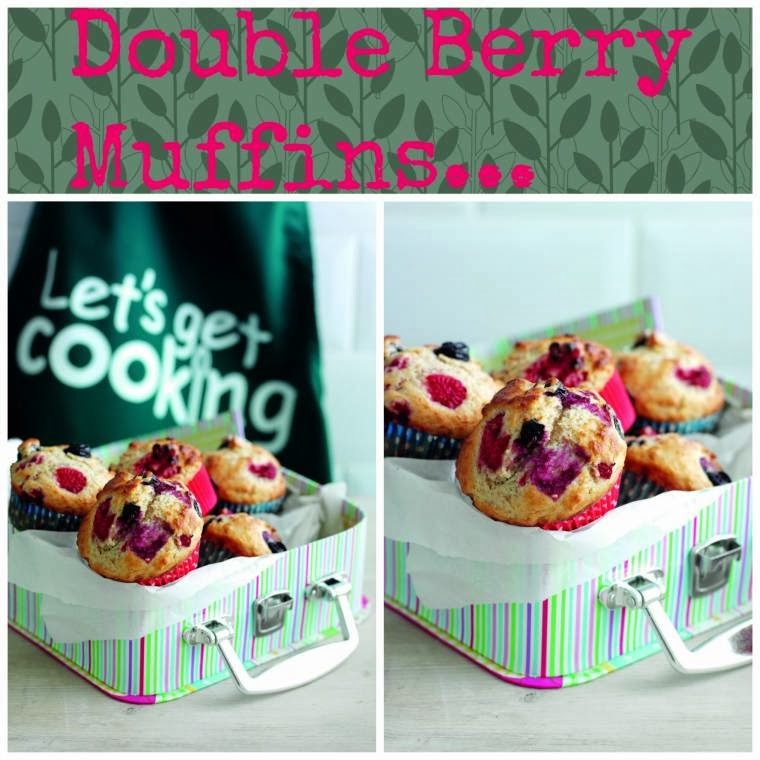 Made with wholemeal flour and a double berry boost, these muffins are the perfect treat to take to work. Preheat the oven to 200oC (400oF), Gas Mark 6. Separate 12 paper cake cases and put into a 12 hole muffin tin. Add the brown and white flour to a mixing bowl, add the baking powder and sugar and stir together with a fork. Cut the butter into pieces, add to a medium bowl that you can put in the microwave and heat on full power for 30 seconds or until melted. Add the oil, yogurt and vanilla to the butter, then break in the eggs and beat together with a fork until smooth. Pour the egg mixture into the dry flour mixture and stir with a fork until only just mixed. Add the berries and stir together gently. The less you mix the lighter the muffins will be. 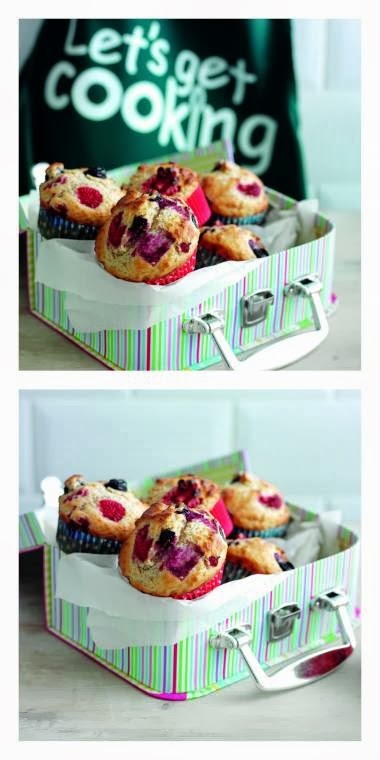 Drop spoonfuls of the muffin mixture into the paper cases, there’s no need to smooth the tops. Bake for 15 minutes until they are well risen, the tops are golden brown and when you press the top of one muffin it feels springy and your finger doesn’t leave a mark. 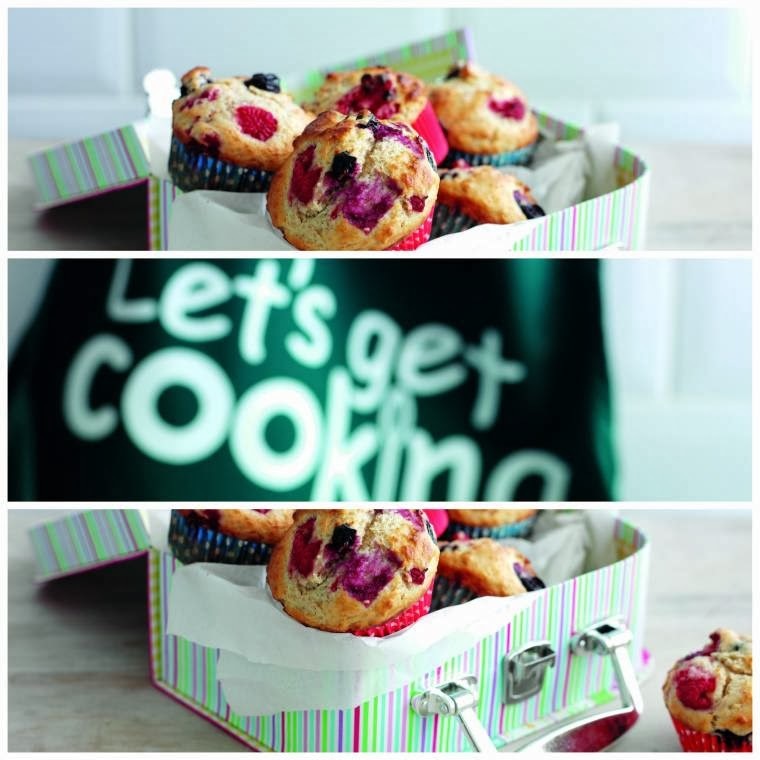 Take out of the oven with oven gloves, cool muffins in the tin for 15 minutes then lift out of the tin carefully and put on a wire rack to cool. "08/11 Link Up Your Favourite Posts This Week : Welcome To The Weekend Hop …"